I Won a Wally One! Talk about a tongue-twister of a title. 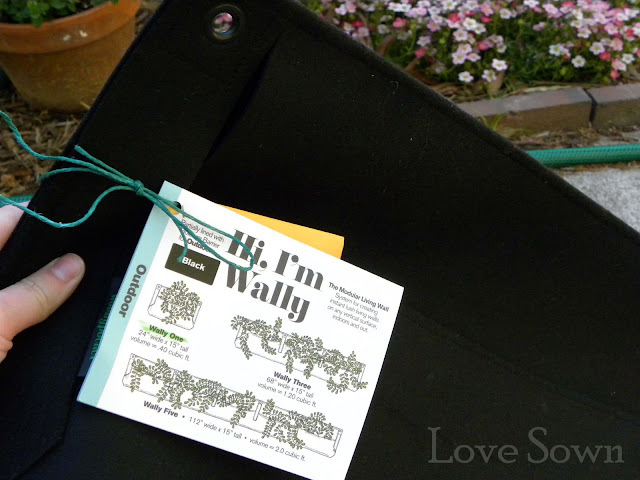 A couple weeks ago, I discovered a "Vertical Gardening Cyber Book Party". Perhaps Ricky Nelson's "I Went to a Garden Party" just entered your brain.. it did mine. Well don't you know I visited every single blog hosting giveaways as a promotion for launch of the new book Garden Up! 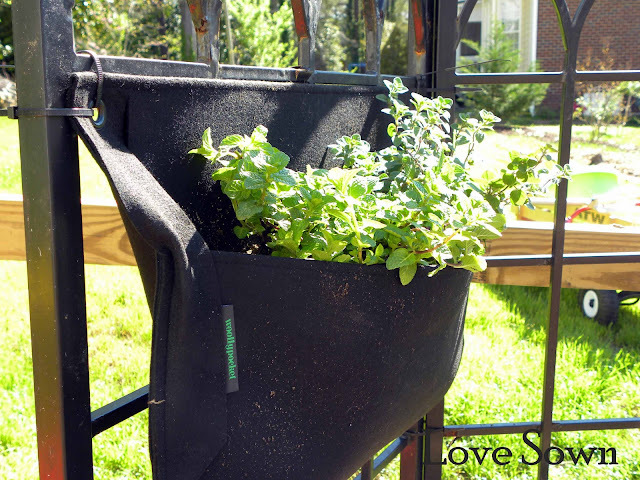 : Smart Vertical Gardening for Small and Large Spaces by Susan Morrison and Rebecca Sweet. Unlike a certain member of the Sheen family, I am not often a winner, but to my delight Laura from Interleafings selected me as the winner of the Outdoor Wally One. Wally is a "modular living wall system ... made from 100% recycled plastic water bottles." You know how Love Sown likes to feature reuse and recycling of materials, so this product got me excited. Knowing the Man would absolutely die if I drilled holes in the side of the house, I decided to forgo the included screws and hang it on my trellis with tie wraps next to the upcycled garden bench. Remember those two herb plants the Baby kept unpotting? Now they have a safer home! 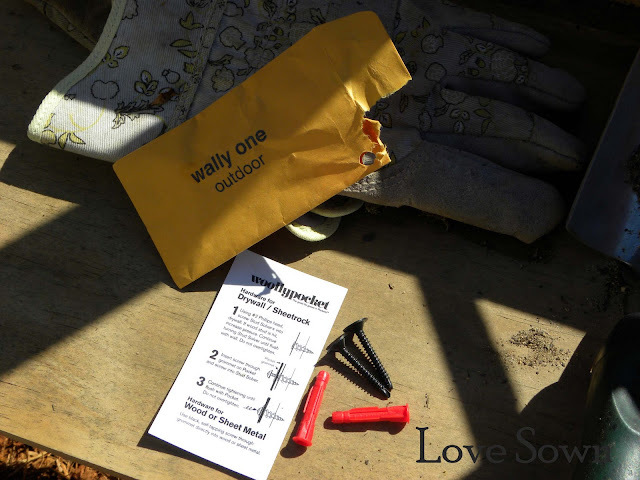 I was surprised at how much soil the Wally held, and in my excitement may have overstuffed it. I'd recommend hanging it before completely filling it to make sure it will lie flat against the wall or trellis. It looks great! Thanks, Laura, Susan and Rebecca! Aren't the Wallys cool? My mom wants one now that she's been to my house and seen my own Woolly Pocket wall filled with Carex. That is really neat, I've never heard of it. Thanks for the intro.